I’m Ed Smith, a Woodland wrongful death lawyer. When a loved one dies, the family faces the grief associated with the person’s loss. If wrongful death is involved, the loss is often compounded by feelings of anger and confusion. In many cases, the family faces financial harm due to end-of-life expenses, medical bills and loss of the decedent’s support. A wrongful death is defined as the death of an individual due to negligence or intentional, reckless or criminal acts. A wrongful death lawsuit is not a criminal charge. It is a civil action. It is filed by the survivors of the decedent or a representative. A wrongful death lawsuit asks that the party at fault pay damages to the survivors. The person’s death must be due to a negligent or intentional act. A link between the negligent or intentional act and the person’s death must be proven. The decedent’s death must be shown to have a financial impact on the survivors. Driving negligently: Negligent driving includes disobeying traffic laws by speeding or ignoring stop signals or signs. Distracted driving or driving while impaired by alcohol or drugs also falls under this category. Medical malpractice: This involves negligence by a health care professional or hospital where the level of care is below community standards. Examples are a surgeon who makes an error during an operation, a doctor who prescribes the wrong medication or one who fails to treat a brain injury. However, it also includes errors by hospital staff. These include dispensing the wrong medication or not using adequate techniques to prevent infection. Products that are unsafe: In such cases, a person can die due to negligently designed or manufactured products such as auto parts. A wrongful death under this category can also include food that is contaminated or unsafe toys sold for children. Toxic Substances: This category can include pesticides or other substances such as asbestos that cause illness and ultimately death. 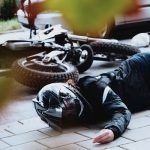 Intentional acts: When a person acts in such a way as to cause harm to another individual intentionally, a civil wrongful death claim can be filed. 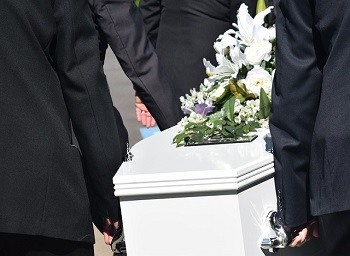 Even if a criminal case in the matter is ongoing, the family of the deceased can file. When the defendant is convicted of felony homicide, punitive damages can be awarded. Two cases that exemplify this are the O.J. Simpson case and the Las Vegas shooting tragedy. If another party or institution compounded the ease with which the defendant was able to kill the decedent, they can be added as a defendant in the lawsuit. In California, the survivors have a specific time limit within which they can file for a wrongful death. The statute of limitation is 24 months from the time of the individual’s death. 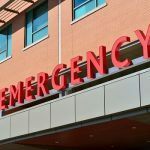 In medical negligence claims, the time limit is extended to three years from the time the person died or one year from the time negligence was discovered. In government claims, the family must file a claim within six months. Exceeding these time limits usually results in the court prohibiting a wrongful death claim. I’m Ed Smith, a Woodland wrongful death lawyer. 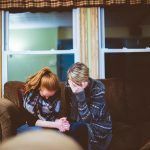 A death is a traumatic time for any family especially when a loved one’s support is suddenly withdrawn. If you have lost a loved one through negligence, you need the help of an experienced injury lawyer. You can reach out to me at (530) 392-9400 in the Woodland area or (800) 404-5400 nationwide for free, friendly advise. I’ve practiced law for over 35 years in Woodland and Northern California, assisting residents with wrongful deaths and car or truck accidents. In each case, I’ve worked to obtain optimum compensation. Check out the milliondollaradvocates.com. This is the website of a forum composed of trial attorneys from around the country who have obtained settlements and verdicts of $1 million. I belong to this group from California. Interested in how I resolved some of my previous cases? Go to my verdicts and settlements page. 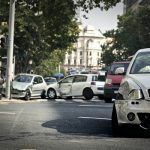 Stay here on AutoAccident.com and look around. I built this website to make sure clients have the information they need about personal injury law.